Hi there! It’s been a while. The end of my 6th season sea kayak guiding in Alaska sadly came to an end a few weeks ago. What an amazing season filled with adventure, wonderful clients, and exciting camping trips. The other kayak guides are all off to start new and exciting chapters of their lives. Whether staying in Valdez to enjoy backcountry skiing and ice climbing, which Valdez is a world class destination, or venturing off to Idaho, California, Utah, New Zealand, or Central and South America, we all share a tight bond formed in Prince William Sound. As for me: Since I’ve left Alaska I have been road tripping with a fellow kayak guide through Washington, Idaho and Utah, mostly rock climbing (Leavenworth, WA and City of Rocks, ID) and hotspringing (Idaho is amazing for this!). I am currently in Park City, Utah, recertifying my Wilderness First Responder (medical training). As much as I love sea kayaking, the shoulder season sure is fun, when I get to experience other places and activities! I’m getting excited for the upcoming paddling season in Panama. There is still space on an all-inclusive 9-day sea kayak and yoga retreat. This is a wonderful opportunity for people of all experience levels to escape to warm, tropical sea breezes and to do something healthy and nourishing to welcome 2018! 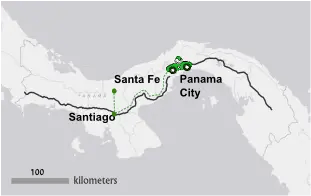 This trip explores both Caribbean and Pacific coasts and also includes touring a scenic area of Panama City, stand-up paddling, snorkeling, and a visit to the famous Panama Canal. Contact me for more information (but hurry, as it’s right around the corner and space is limited!). Here are some scenes that await you in Panama! WANT TO EXPERIENCE MORE OF PANAMA? Most likely you’ll fly into Tocumen International Airport, and it’s worth it to spend a couple of days exploring this modern and colorful city, located right on the Pacific Coast. The yoga/sea kayak retreat does include some of the best-to-do in Panama City, including a visit to the famous Panama Canal and museum, as well as an overnight and farewell dinner in Casco Viejo (a charming “Old City” on the waterfront, also where the President resides). More time spent in this area offers visits to historical sites, churches, museums, theaters, beautiful plazas, galleries, and some of the best options to dine on Panamanian cuisine and to shop for traditional crafts from all over Panama. There are many colorful craft markets to enjoy. One of my favorite spots is the Mercado Del Mariscos (Seafood Market), where you can eat as much fresh seafood as you like, while you watch fishing boats bring in the fresh catch-of-the-day, while Pelicans dive all over the place. I like to sample the different kinds of ceviche. This is extremely popular for both tourists and Panamanians. I have spent hours strolling along the Cinta Costera, a long path right along the coast, which is very popular among Panamanians to spend time with their families, as well as a popular biking, jogging, and exercising strip. The Cinta, as it is often referred, will take you all the way to the Amador Causeway, a narrow land-bridge, built with rocks excavated during the construction of the Panama Canal, that connects the continent with four islands next to the Pacific Ocean entrance to the Canal. Here you will find lots of restaurants, shops, and the Biomuseo, the Biodiversity Museum (the colorful building in the bottom left photo). If you’d like to take in great views of the city, as well as get exercise and see wildlife without leaving the city, head to the Parque Metropolitano, which is an unspoilt tract of tropical rainforest that is home to more than two hundred species of birds and mammals, including Geoffroy’s tamarin monkeys, white-tailed deer, sloths and agoutis. If cool mountain air, more solitude, and adventure is your style, head to Santa Fe in the province of Veraguas, about 5 hours from Panama City. I love this small mountain town and make a trip here each year. Some of the activities here are swimming, rafting or tubing down one of the many unspoiled rivers (lots of waterfalls! ), horseback riding, hiking through virgin rain forest as far as the Caribbean coast, birding, and visiting organic (coffee, flowers, and produce) farms and orchid gardens. Whenever I’m in Santa Fe I love to stay at Hostal La Qhia, a beautiful mountain retreat, which offers tranquil respite from the bustle of the city. This is a great place to launch local adventures and you will find lots of information (and maps) there about what to do in the area. You can conveniently arrange tours here as well. The above photos are from my last visit (Dec ’16) with my good friends, Jared and Suzannite. We hiked through a beautiful mountainous landscape to an organic farm, where we sampled delicious and fresh food and coffee, as well as hired a local guide to take us to gorgeous waterfalls. We also discovered the most amazing Cambodian food that I’ve ever eaten at Anachoreo Cambodian Restaurant, which also offers lodging. We were so delighted to discover such authentic food so far away from Cambodia, that we ate there two nights in a row! The Azuero Peninsula, which many Panamanians proudly refer to as the “heartland” of their country, was a new discovery for me, filled with many unexpected and memorable experiences. This area is extremely rich in tradition, folklore, farming, and partying! That’s right, you will find town-wide parties every weekend (probably multiple parties a week if you’re really gung-ho!) with traditional live music and all-night dancing. Not to mention sampling Panama’s Seco Herrerano, something of which they are also very proud of. Seco is a white spirit distilled from sugarcane. We became friends with a family who invited us to a couple of these parties. Talk about dancing all night! My friends and I were also the only non-Panamanians at these parties. . . I’m talkin’ authentic Panamanian partying! Heading south my friends Jeff, Jared, and I took multiple buses down the western coast of the Azuero Peninsula, an area of great beauty (and remoteness in many parts). We stayed at a lovely locally-owned place in the small beach town of Malena called Hostal Iguana Verde. Upon our arrival the hostal owner, Anna, invited us to join her to liberate dozens of newborn sea turtles to Mama Mar (Mother Sea). What an experience! Anna is part of a group of local conservationists who strive to increase the survival rate of these sea turtles. You can easily get involved in a project like this. Visit the Facebook page for Marine Turtle Conservation Panama for info on how to get involved. It feels good to help out such a worthy cause while you’re on vacation! Plus, these sea turtles are ridiculously adorable. From Malena it is a short ride to another, more developed beach town called Mariato, which offers a variety of accommodations and activities, especially surfing. Anna told us it was possible to walk along the beach from Mariato back to Malena, so we enjoyed an afternoon sampling food and beer (some of the best fried fish I’ve ever had, and patacones) to fuel up for a gorgeous sunset beach hike. Continue farther down the peninsula if you really want to get remote adventure! 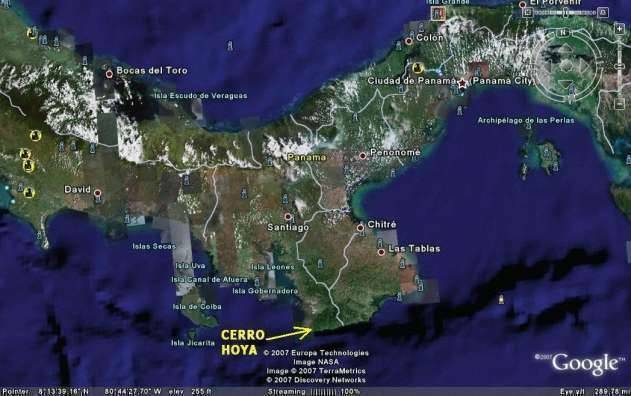 I had read about an infrequently visited National Park called Cerro Hoya. You’ve got to make sure you catch the sometimes only once-a-day bus to a tiny end-of-the-road town called Las Flores. (There are more populated and accessible routes and towns on the eastern side of the Azuero Peninsula.) Created in 1984, this 80,450-acre national park contains some of the last remaining primary forest on the Azuero Peninsula. Until recently, the park was extremely difficult to reach and only explored by intrepid travelers. We got off the bus and immediately met a friendly pig farmer named Rueben, and his son, Ruebencito, who loaded Jeff and Jared into the back of their truck with the pigs (to my extreme delight and amusement – they made me sit comfortably in the front, the pig-free seating). We were welcomed into their home by Rueben’s wife, Celmira, where we stayed for a few days and enjoyed river walks, traditional food, and becoming part of their family. I know I said I’d only highlight just a few places in Panama, but as I write this I still have more places that I’m itching to write about. I will be continuing my “Panama Is Where It’s At” series. So look forward to more about Panama, as well as Alaska (because Alaska is where it’s at also!). I will sign off by saying that of all the places in Panama that I have visited, Guna Yala (San Blas Islands) remains my all-time favorite place. This is where I guide sea kayak tours in the winter and this is where the sea kayak portion of the aforementioned retreat will be held. This is why: It is one of the most spectacular places for sea kayaking. The Guna are my favorite people. It’s as simple as that. Click here for more info on Guna Yala. Thank you for reading. I hope you are inspired to join me January 6 – 14, 2018, and that you visit more of the beautiful country of Panama. Stay tuned for more blog posts. You can also follow Ileneinakayak on Instagram and Facebook.